Quick overview The 7-Outlet SurgeMaster Surge Protector offers three-line AC Surge protection for small home office computer and standard household electronics. 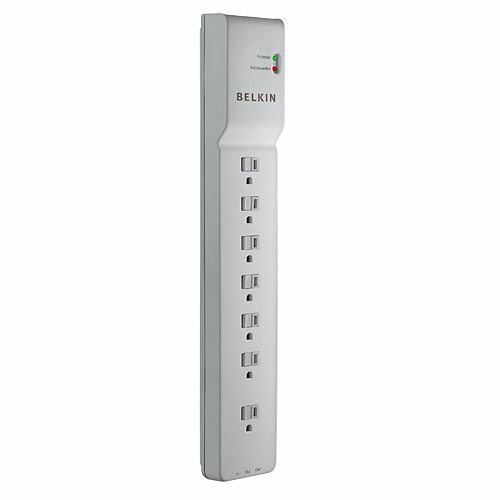 6' power cord delivers optimal, safe AC power through a 14-gauge heavy-duty cord. Surge protector filters EMI/RFI noise up to 43 dB reduction and features right-angle plug and 1-in, 2-out RJ11 telephone/fax protection.